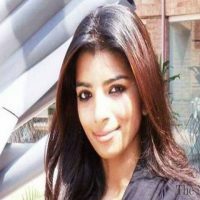 Lahore – Journalist Zeenat Shahzadi, who went missing in Lahore in August 2015, was found by security forces on Wednesday night, BBC reported on Friday. Before her abduction, the 25-year-old journalist had been working on the disappearance of an Indian citizen, Hamid Ansari, who was reported traceless in Pakistan since November 2012. The head of the missing persons commission, Justice (r) Javed Iqbal, confirmed that Shahzadi was found near the Pak-Afghanistan border. She had been kidnapped by some “non-state actors and enemy agencies”, Iqbal told BBC. Shahzadi had played an important role in encouraging a government commission on enforced disappearances to investigate Hamid Ansari’s case, the BBC reported in 2016. She went missing, months after police admitted they had detained Ansari in 2012, and handed him over to intelligence officials. On the day of her disappearance, Shahzadi was blocked on the road by two cars, and abducted by armed men. She was scheduled to appear before the commission to testify in the case of Ansari’s disappearance in the next few days. Shahzadi’s mother had claimed that the journalist’s brother ended his life after her abduction, BBC had reported. “That child just could not take it anymore,” her mother said of his death.